Formerly limited to a small group of artisans, hearing aid design and production was given longevity when Phonak and Materialise created a solution that would change the industry forever. Perhaps you don’t need a hearing aid now but, like millions before you, some day you might. 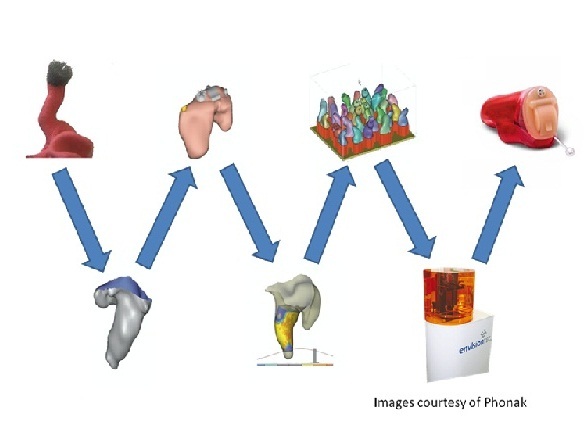 When that day comes, you will be happy that on December 21st, 2000, Phonak officially started their collaboration with Materialise and its team of software developers to create a solution that would forever change how hearing aids are designed and produced: RSM (Rapid Shell Modeling). Before RSM, producing a hearing aid was a labor-intensive process that could only be performed by a shrinking pool of highly-skilled artisans. The process was not only time-consuming, but it often required quite a lot of manual retouching of the hearing aid before a comfortable fit could be achieved for the end-user. Thanks to RSM, it was possible to put a new digitized and automated process in place, saving time, effort, and resulting in a more comfortable, acoustically optimized hearing aid that can now fit so deep in the ear that it is nearly invisible to the outside world. The shells are manually finished and the electronics are easily inserted since the shell has been optimized to hold them. 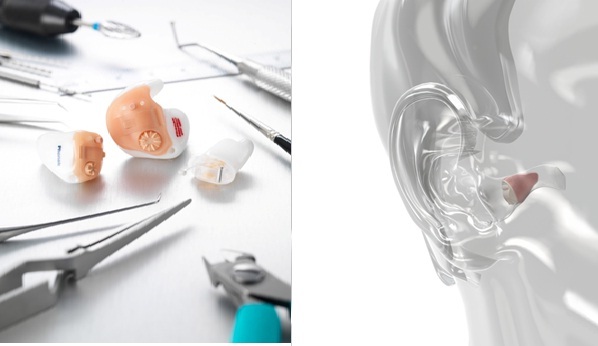 The patient receives a high quality hearing aid that fits great and sounds fantastic. Thanks to RSM, hearing aids can be made faster and more accurately than ever before. An added bonus for any patient unfortunate enough to lose, step on, or damage their hearing aid in some way, is that their digital file can be used to create a replacement without having to start the process all over again from the beginning. It is no wonder that around 99% of the world’s hearing aids are now made using this method. Interact freely. Communicate with confidence. Live without limit. Life is on.